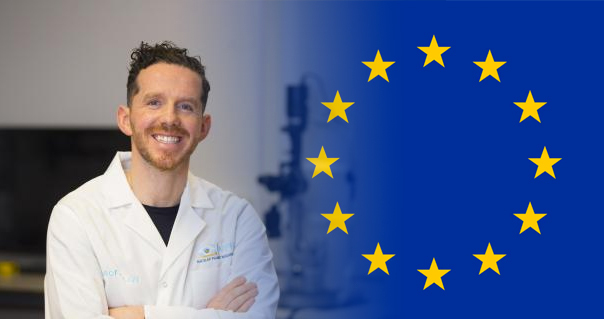 Waterford-based research is to be showcased later this month at an event in the European Parliament in Brussels to highlight the impact of EU-funded research and innovation in daily life. Professor John Nolan will present on the impact of the European Research Council-funded CREST project to an audience set to include Antonio Tajani, President, European Parliament; Jean-Claude Juncker, President, European Commission; Werner Hoyer, President, European Investment Bank and Carlos Modeas, Commissioner for Research, Science & Innovation. CREST (Central Retinal Enrichment Supplementation Trials) was undertaken by the Macular Pigment Research Group at the Nutrition Research Centre Ireland (NRCI) within the School of Health Science at Waterford Institute of Technology’s West Campus in Carriganore. CREST measured the impact of supplementation with three plant pigments known as carotenoids (lutein, zeaxanthin and meso-zeaxanthin) on visual performance and blindness. 105 of the participants had no evidence or history of eye disease while 121 had the early stages of age-related macular degeneration (AMD, the world’s leading cause of blindness). Speaking ahead of the high-level conference entitled ‘EU Research & Innovation in Daily Life’ on 27 November, Prof Nolan said he was delighted to be invited: “I see this as a really important recognition for all of the work that has been done by a great group of people focused on the nutrition of the eye. It’s a real honour to be selected as one of only two Irish-based projects – and only 16 in total – to be presented. “The conference will be a great chance to celebrate some of what has been achieved through European investment in scientific research and I look forward not only to flying the Waterford flag by presenting our own work from the NRCI, but to having the opportunity to highlight the impact and return this work offers in real-time to society,” he continued.